CAD was not supported by the manufacturing sector and on the other hand oil is threatening CAD as well. The pair has been moving with bullish bias within the descendant channel. 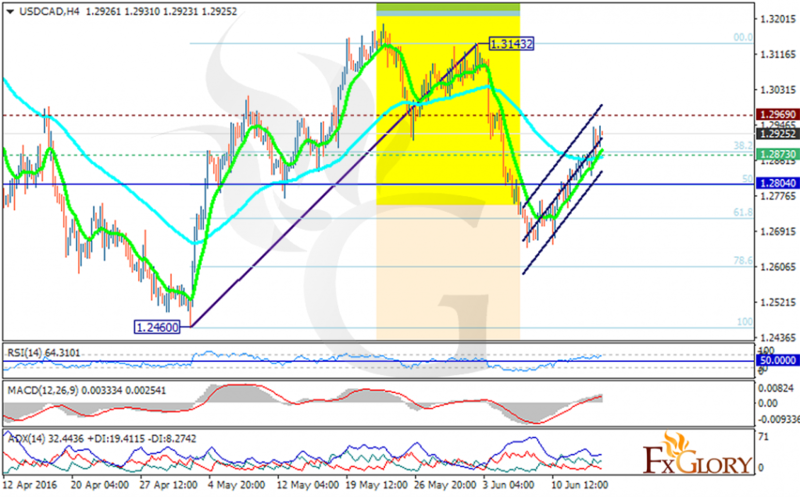 The support rests at 1.28730 with resistance at 1.29690 which both lines are above the weekly pivot point at 1.28040. The price is moving in neutral area where the EMA of 10 is reaching the EMA of 75. All indicators are signaling buy opportunity; the MACD indicator is in positive territory, the RSI is above the neutral zone and has already passed the overbought level and the ADX is showing stronger buyers. However it seems that the 1.29690 is a strong resistance for this pair therefore there might be pullbacks for today. The support level breakthrough will lead the price to lower levels targeting 1.2800; otherwise the pair will continue its bullish trend targeting 1.1320.